My shiny new freshly built diff! Follow along and I'll go through how I built it up. You need a few specific tools to build a diff properly, some you can make yourself, some you have to buy. Here is one of the tools I made, a spanner for holding the pinion flange while installing and removing it (which you have to do a lot!). I made two different ends, for the two common Mopar universal joint sizes. One of the most vital tools you need and want is an impact wrench. Beats the hell out of doing things with a socket! You'd be at it forever... 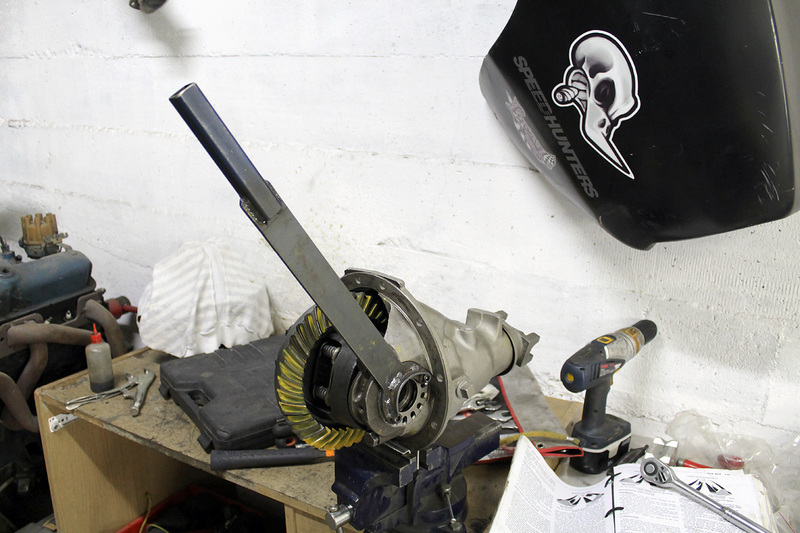 Here I'm installing the pinion gear in the housing, along with the pinion flange. 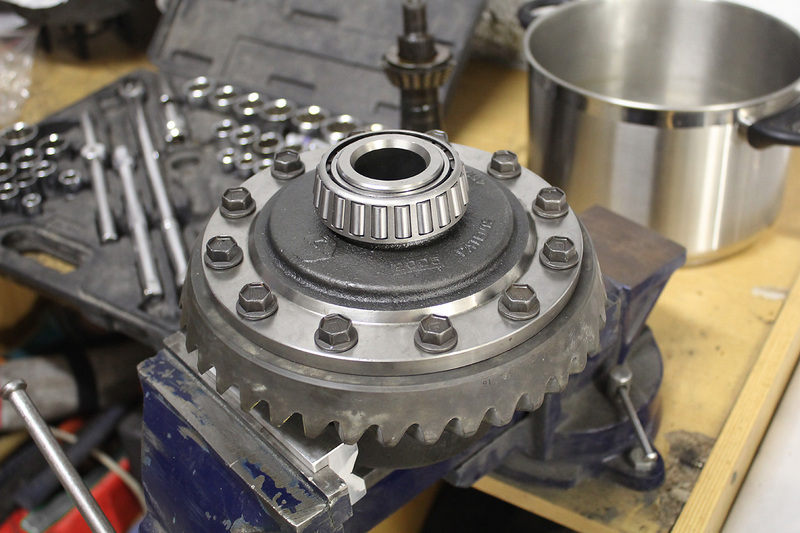 I used a kit that allows you to shim the pinion gear to adjust the bearing preload, instead of the usual collapsible spacer (or crush sleeve as its known). 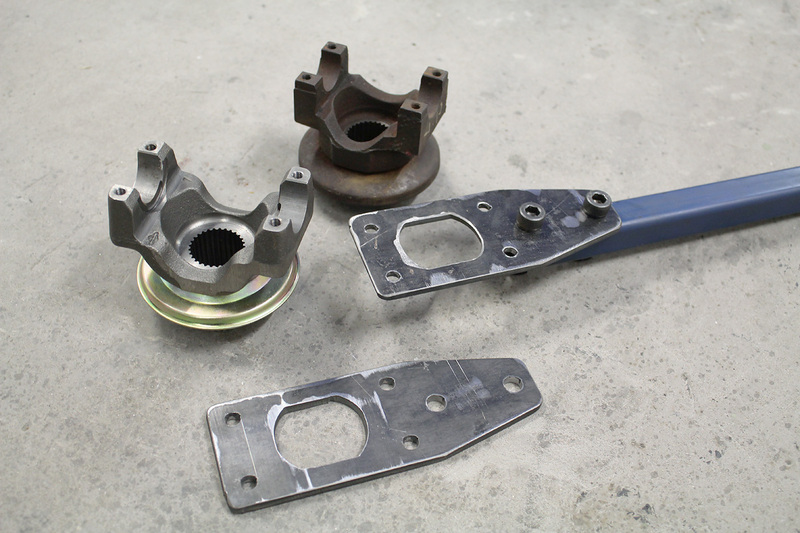 You use the appropriate shims to get the correct bearing preload, which is 20 inch pounds for new bearings. This little inch pound beam-type torque wrench is used to check the turning torque (it bends as you turn it around, allowing you to check the resistance on the little scale). 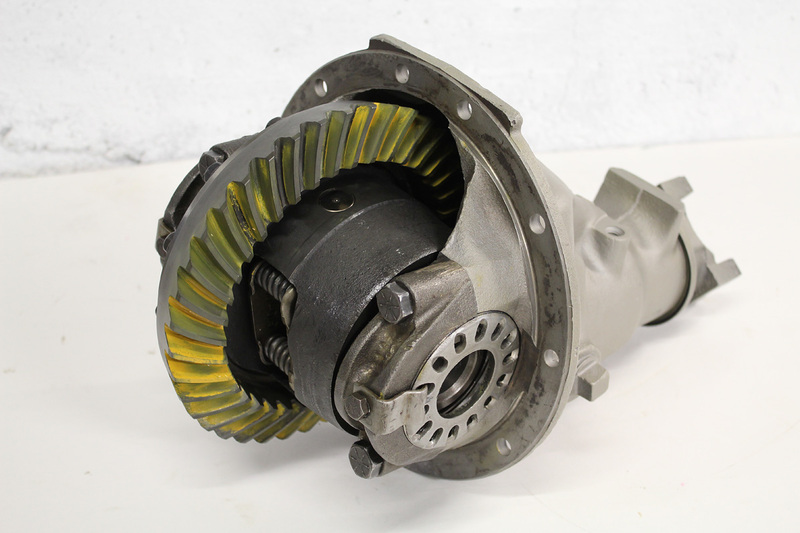 I pressed the carrier bearings onto the Auburn Sure-Grip limited slip differential and bolted on the new 3.55:1 ring gear. Once your pinion bearing preload is set and you've estimated your pinion depth shim (by checking the shim that was on the old pinion gear in the case) and placed the appropriate shim under the bearing (I used a dummy bearing to set this up, where by I bought another identical bearing and ground out the inside diameter so that it slips on the pinion gear as opposed to having to be pressed on and off, which greatly speeds things up and prevents damage to the bearing and the shims), you can install the carrier and ring gear into the housing. The spanner shown is another tool I made. 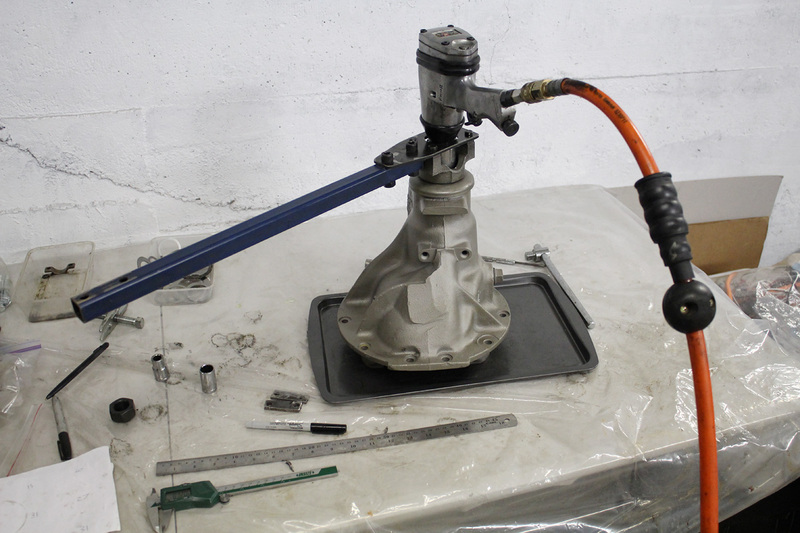 It's for adjusting the gear backlash and carrier bearing preload. 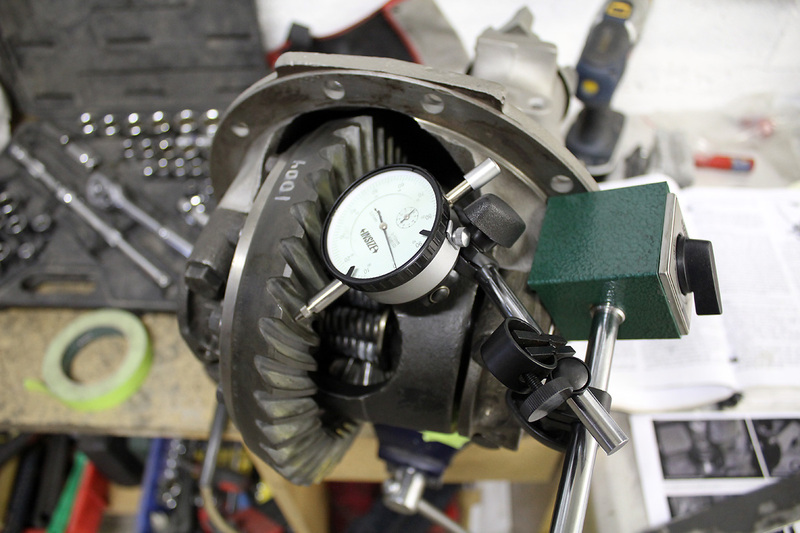 Gear backlash has to be between 0.006" and 0.010" and is checked with a dial indicator. 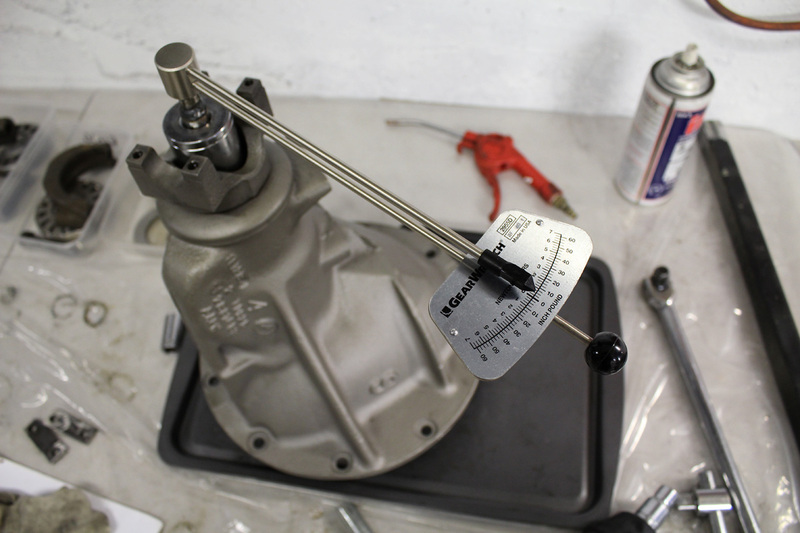 Once the backlash and carrier bearing preload is set you can check the pinion depth by testing the wear pattern on the ring gear with special non-drying ferric oxide paint. This photo shows my final pattern with 0.030" pinion depth shim and 0.008" back lash. Perfect! And that's it! 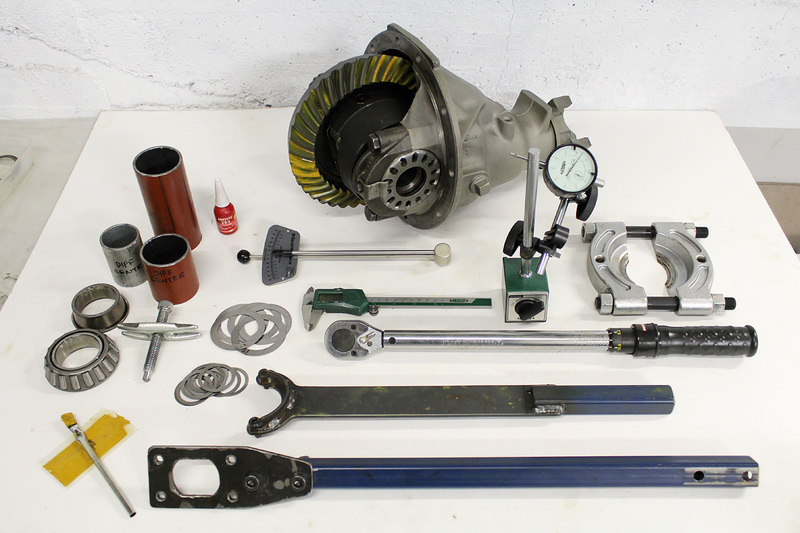 Here is the finished diff and some of the tools and bits and pieces that I used. I'm looking forward to seeing how the limited slip and 3.55:1 gears change the feel of the car, no more peg legged 2.76:1 geared diff! Huge thanks to Cass aka Dr Diff for his help and advice (and the new parts)! yachts and aircraft with South Beach's most dependable concierge service. South Beach Exotic Rentals – The best deals in Miami on exotic car rentals.